Water Supply— When do we secure a hydrant? When do you need to pump LDH? This Company is Moving Big Water. Does your company/driver understand how to pump the four-way valve? When do we need to pump LDH? Do you use some type of fourway valve? First Due Stretched Attack line. Second Due gave a three inch feeder "water supply" and supported Fire Attack. Third Due secured hydrant. Just a thought for some Suburban/County Fire Tactics. This allowed for a rapid and successful knock down with timely searches and ventilation. Securing a hydrant is so high on so many Fire Ground Commanders’ check list; they sometimes fail to really evaluate the Fire Flow needs. They have it ingrained to get a hydrant. First, I would like to say most Working Fires are controlled with Tank Water. And most, if not all LODDs have nothing to do with a lack of on-scene water. I am a big advocate of using water to need more. So, why do we put in our tactics text books that the second due secures water? Or better yet place it in our SOGs? I will tell you why! Because some time in the past; we ran out of water trying to make a knock on a FIRE. Then the following day a MEMORANDUM came out “FIRST DUE WILL SECURE A HYDRANT”. I guess the thinking is that this would guarantee success at all fires. Do not miss-read this post. I would love to have a hydrant in front of every structure that was on fire. This is not the case. So we must train on decision making with conditions at hand. When dealing with a normal size house and your first two engines carry Suburban Booster Tanks/Suburban Manning, evaluate your capabilities. Time Your Tank and account for Tactical Priorities! Well, what if the first on-scene Engine “crew of three with 752.5 gallons of water on board” has a one room fire on the second floor of a small private dwelling with possible entrapment? Now how important is it for second due to secure a hydrant while only two firefighters stretch an attack line and try and advance in and upstairs with a return staircase. The FLASHOVER will happen before you even get a supply line in place and even then the line will not take back what has already occurred. Let’s evaluate the needs here. More firefighters to assist getting a line upstairs to extinguish with Gallons per Second/PRE-VENT FLASHOVER or have second due secure a hydrant so when the house goes fully involved because the crew of three could not reach the one room fire they will have a secured water supply. Then will the static supply lay of 500’ really supply what you need? Please don’t put the cart before the horse. 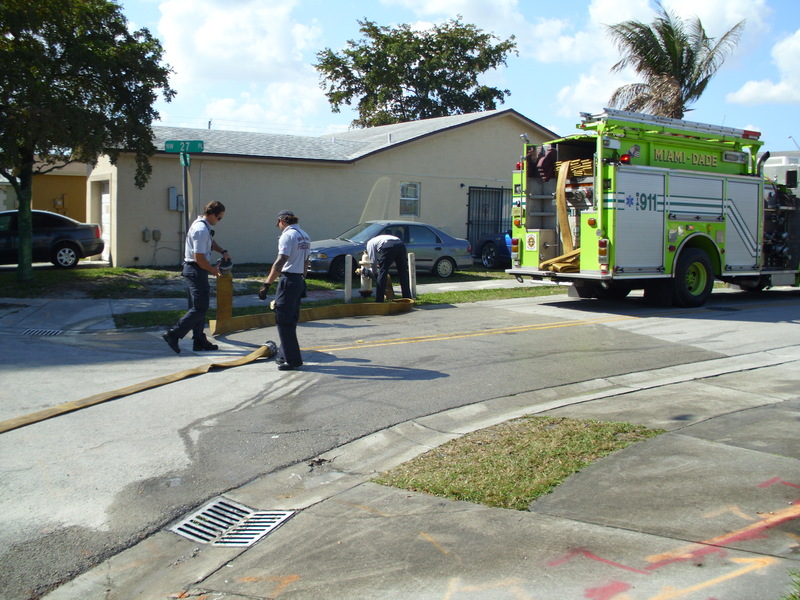 Just because the First Arriving Engine secures a hydrant does not guarantee success. But, if you’re going to secure a hydrant then why not do it 100%. You think, what is a 100%? That would be when the hydrant is fully tapped and a Pump pulling the water and then pushing it. There can be over 500 GPM difference at only 300’ of LDH. Remember friction loss does exist in LDH. 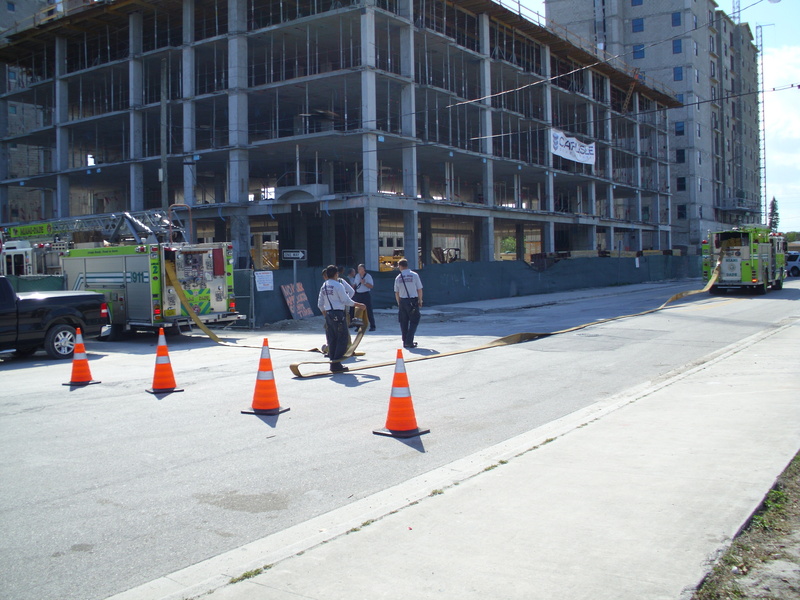 Seven pounds per 100’ using 5” at a 1000 GPM and 20 pounds per 100’ of 4” at 1000 GPM flow. The other problem is the residual water available when not fully tapping the PLUG. We have found nearly 25% more water available when fully tapping. 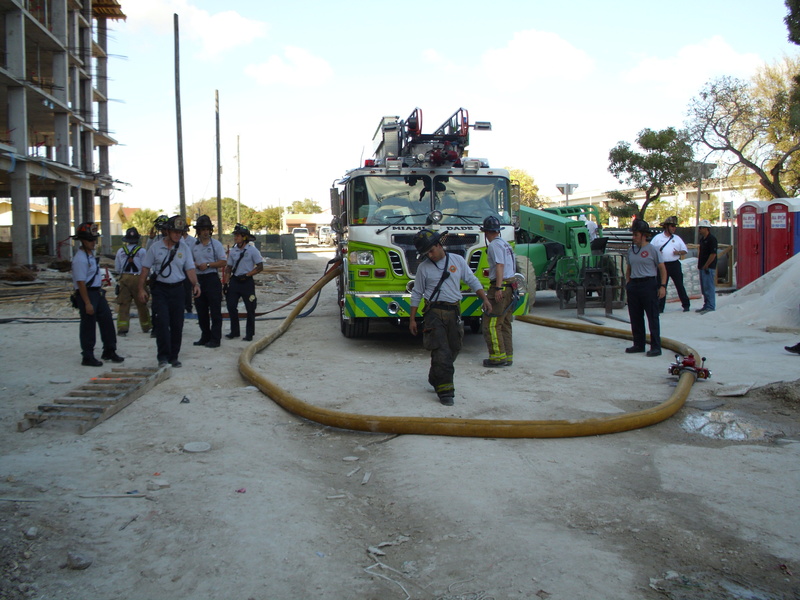 Success is only a possibility when Firefighters FIRST and Fire Officers Second, understand Fire Ground Tactics. Firefighters are the ones stretching and applying the water. They are the ones at the hydrant by themselves. Fire cannot be extinguished with Strategy alone. Fires cannot be extinguished without Tactics. So make sure your Firefighters can perform their required Tactics and then confirm your Officer knows when and why to call for specific types Tactics to be performed. Just simply stating to always catch a hydrant first will not guarantee success. 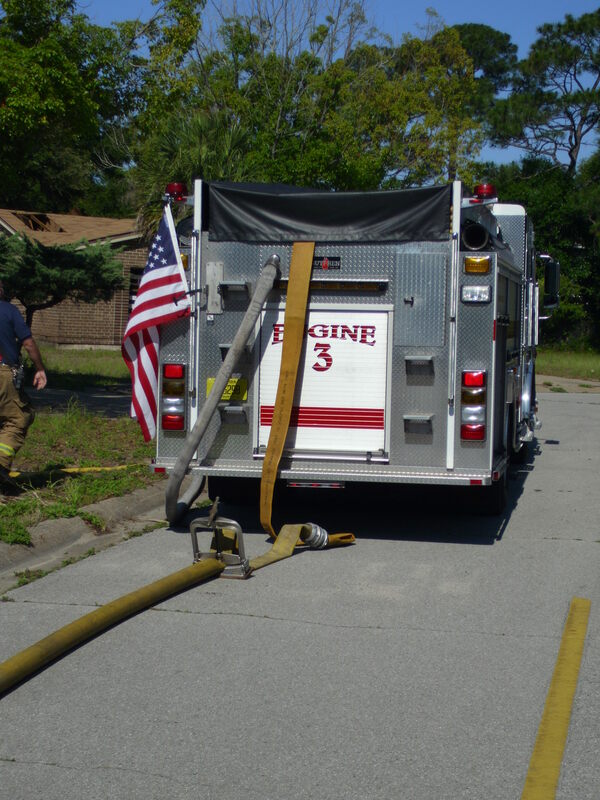 When looking at your water supply capabilities look at your hydrant bag first. Does it carry two ball valves to full tap plug? Do you have a 2.5” NST to 5” storz for the plugs that do not have a steamer and/or it is unable to be opened? Does your hydrant bag has the steamer to storz connection in the BAG or pre-connected to the hose in bed? I HIGHLY RECOMMEND do not pre-connect!! Having it pre-connected does not SAVE TIME. It only limits your capabilities. When your bag has everything but the steamer to storz, it’s incomplete. 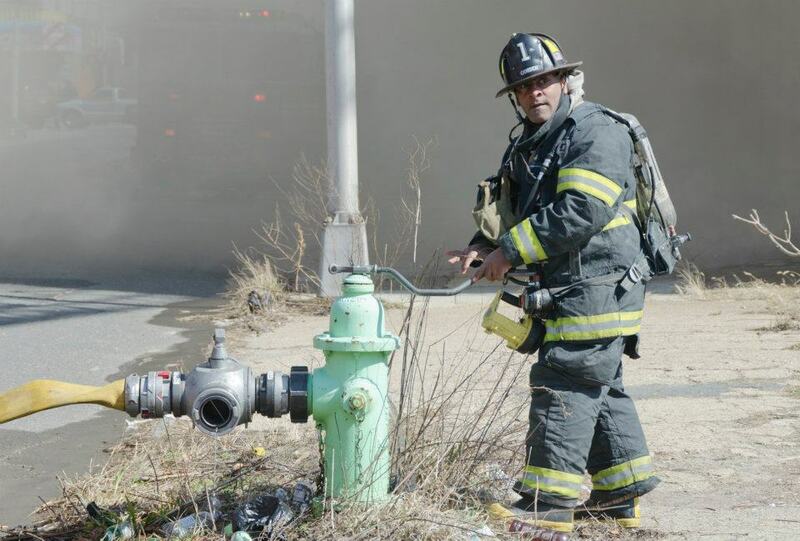 What if you do a reverse supply and the steamer to storz is left at the scene and the Hydrant firefighter now has everything but the BIG CONNECTION? What if you need to hook up to a 2.5” port? Now you must remove before connecting. What if you decide to hook-up a four way valve? Then, there are the ones that will not swivel freely and your LDH gets turns in it. If it was not pre-connected, you just spin it on and then click in the storz. LAST and MOST important!!! Connecting storz with locks on them is a ONE PERSON JOB. Disconnecting storz with locks will most likely be a TWO PERSON JOB. Do you carry a pipe wrench for hydrants that are old and your hydrant wrench cannot get a grip on valve? 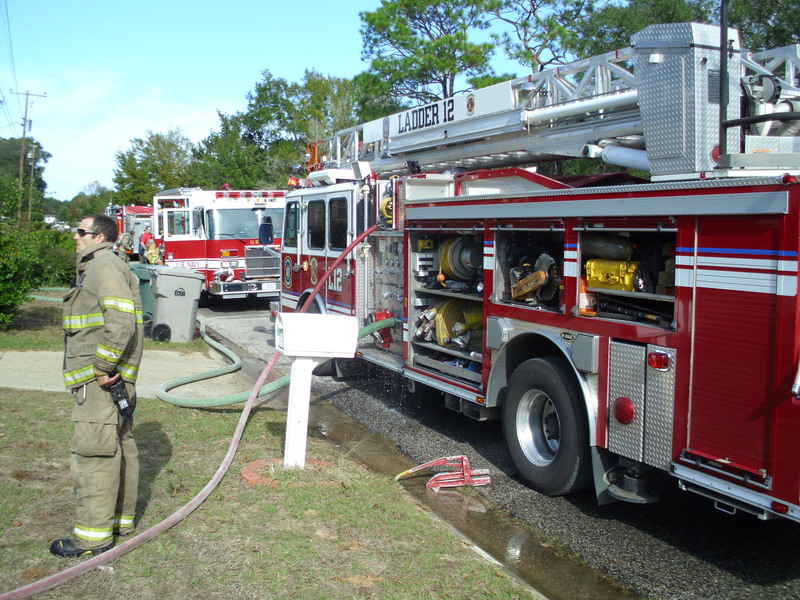 Escambia had a Fire where the hydrant wrench would not work because it would not close enough to grip. So if you really need hydrant water than make the most of it. The Big Fires need Big Water. If you’re dealing with a house fire and people are possibly trapped evaluate your priorities and manpower available. It is awesome if you have Engines and Trucks arriving at the same time as to always allow the Second Due Engine to secure a hydrant. The problem is most of the Fire Service does not have this available. So at your next Fire ask yourself if it is more manpower or more water you need first. If it is water you need; make the most of your supply. Why would you not apply a hose clamp? This allows the hydrant firefighter to charge hydrant and advance to scene. Do you consider split lays? How does this assist fast water? How does this assist with Big Water? Do you take advantage of short sections of LDH? Do you just pull another 100' off the rear to create more kinks and apparatus blockage? The ability to allow more apparatus into the scene. The ability to control water supply at the scene. 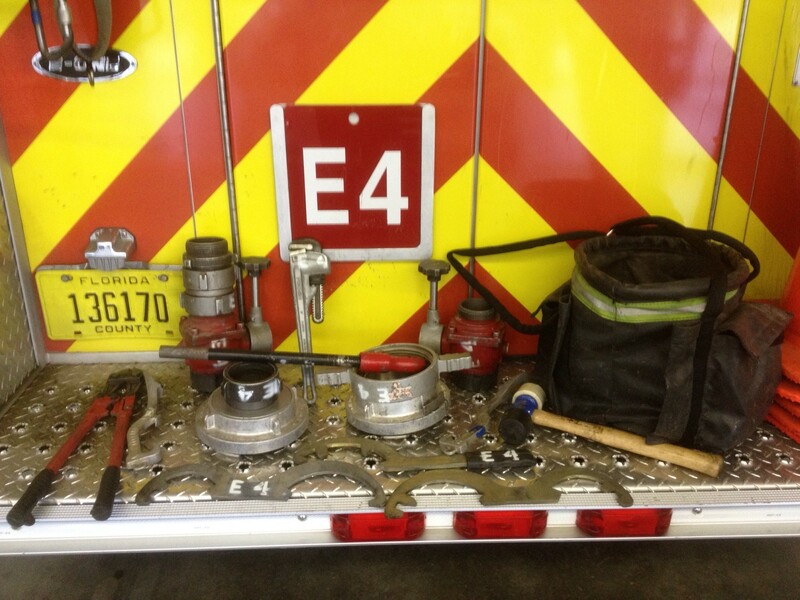 Escambia Engine 4 Hydrant Bag. What do you carry and where? Check back later this week. WE will post why the Fire Service should not put so much into the First or Second Due Engine catching a hydrant on your normal Private Dwelling response. We should be focused on how we can efficently use what water we carry around everyday. Say…like a “gallons per second” overview? Good point too. Another good case for always doing a full hook up to get as much water as possible. If the later arriving companies need to establish water supply, then get as much as you can. Since we’re a POC dept and don’t respond directly to the scene in our POVs, we often roll with 5 or 6 – so the first engine will grab a hydrant if the officer sees one close by. Looking forward to your followup post. We keep our NST/storz adapter hooked to the LDH so it’s ready to go. I may be jumping the gun on the next post, but our 1st in dry wraps the hydrant with the LDH and the engineer puts an LDH manifold on the scene end. Second in drops a FF at the hydrant, who charges it, while 2nd engineer feeds 1st in from the manifold. 2nd in crew meets back up and pulls the backup line. Seems to work as fast as giving the tank to 1st in. Looking forward to some different perspectives though! Being a student and user of this methodology of Blitz attack for the past 10 years, I can say that this tactic works for the majority of residential structure fires we encounter in the Gulf Coast. This tactic, if executed properly and in coordination with the other incoming crews provides for a rapid knock down of fire thus giving victims the best chance for survival. A rapid knock down of the fire, and initiating a primary search within seconds of that knock down is an awesome task for the first and second companies. Water is the cooling agent, however, the people applying the water in the right volume at the right location is to me the still the most under-considered variable. Its the people that are willing and able to aggressively apply the water in the correct volume that make the biggest difference on the fire ground. A competent crew will apply the water correctly, not conservatively. Get the fire under control and search leaving the nozzleman on the nozzle to monitor the conditions. The second in crew should be engaging with a back up line and the manpower to remove victims, and ventilate. Train for this scenario. Its a solid Plan A. Thanks for helping me understand that this is important to keep the water from running out just like before just because of putting out a fire. I guess that is why hydrant adapters are needed to ensure that this will not happen again and keep water from being wasted. I hope the professionals will do this since the news said that the summer this year might become the hottest one yet which can dry out the water from the suppliers.